Pool maintenance isn’t just about making sure your swimming pool looks fresh and clean — it’s about protecting anyone who swims in it. At True Blue Pools, in Lexington, KY, we stress the importance of adhering to an upkeep routine. Doing so ensures you’ll be able to enjoy it for years to come. As long as it’s open, your swimming pool is exposed to a number of potential contaminants. Debris, animals, and the people swimming in it can leave behind bacteria that could result in health problems if left unaddressed. You don’t want your loved ones swimming in bacteria-infested water. That’s why a pool maintenance routine is important. By cleaning the pool on a regular basis, you’ll remove much of the debris and contaminants that can lead to unhealthy conditions. Additionally, it’s essential to maintain a proper chemical balance in the pool. These chemicals promote an environment in the pool that’s unfriendly to bacteria, ensuring that it’s safe to swim in. Of course, you also want your pool to look its best. If you have a vinyl liner pool, everything from skin oils to suntan lotion can stain the liner if you don’t clean it frequently. For a pool with a tile surface, cleaning ensures the tiles look new and appealing for years. Installing a new liner or tile surface can be expensive if you didn’t plan for it in your budget. By sticking to an effective upkeep routine, you’ll maintain your pool’s aesthetic properties, making it more enjoyable for your family and more valuable should you ever choose to sell your home. 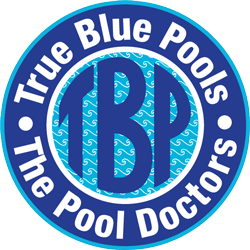 To learn more about effective pool maintenance, take a trip to True Blue Pools in Lexington, KY. Our experts will gladly answer any questions you have on the subject, helping you keep your pool clean and healthy all summer long. Contact us online for more information about our services, or call (859) 523-0755.